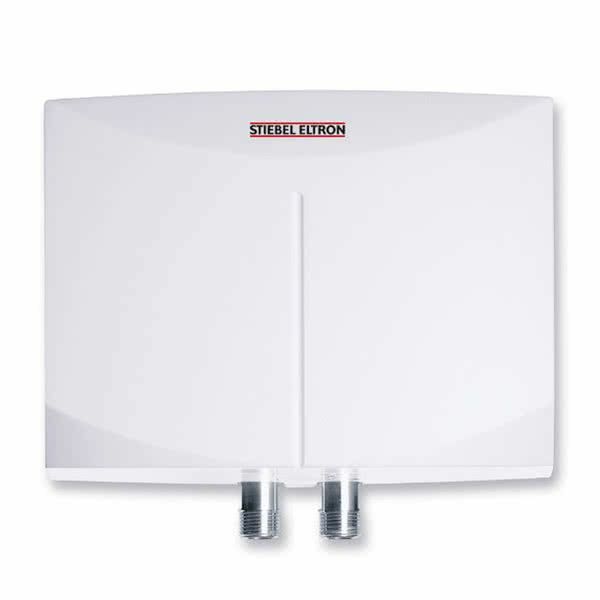 The Stiebel Eltron Mini™ Series tankless water heaters are economical, ultra-compact, attractive point-of-use tankless water heaters designed for consistent, low-flow, point-of-use applications. The Mini Series is most suited to applications which possess a relatively constant flow rate. If the flow rate of your application is likely to fluctuate due to varying water demands or varying water pressures, etc., we recommend that you consider a DHC-E 8/10 tankless water heater instead as they include thermostatic control and flow-based power modulation technology. Due to its compact size, the Stiebel Eltron Mini 2 easily fits directly under a sink or an adjacent cupboard or closet, so it delivers hot water straight to the sink with almost no delay. By locating the heater right next to where the hot water will be used, you can also virtually eliminate thermal heat loss which is commonly associated with long pipe runs. If the Mini 2 is able to supply all of the hot water needs for the entire room, you can also eliminate the need to run a hot water line all the way from the main central water heater in new construction applications. The Mini 2-1 is extremely energy efficient as it produces hot water on demand only as it is required. A sophisticated water flow sensor recognizes when hot water is being used and activates and deactivates the unit automatically so it only runs when you are actually using water. This eliminates standby thermal heat losses often associated with traditional tank style water heaters. Due to this, you can expect to see a significant cost reduction over the operating cost of a conventional water heater.